The Italian based company Carraro, is globally recognized as a leading manufacturer of efficient, high quality axles and power transmission systems. By focusing on the construction, agricultural and material handling industries, Carraro has been able to develop superior driveline components. 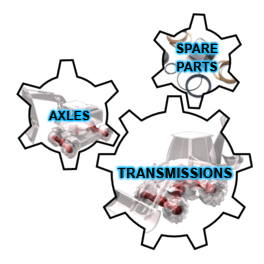 Joseph Industries, Inc. - North Americaï¿½s Largest Carraro Distributor of Genuine Carraro Spare Parts, Genuine Carraro Transmissions and Genuine Carraro Axles. Joseph Industries has North Americaï¿½s largest inventory of 100% Genuine Carraro replacement parts and components in stock, ready to provide you with virtually everything you will need when working on your construction, agricultural or material handling equipment. Choose Joseph Industries to supply Carraro Parts!